I cannot say that I took to George Lucas’ Star Wars prequels (Star Wars: The Phantom Menace, Attack of the Clones, and Revenge of the Sith) very much. In fact, the three movies tend to turn my stomach. I do not know why, but for the most part I cannot enjoy them as I still enjoy the original Star Wars trilogy. Even so, they at least explain the lead-up to the original trilogy (on paper they do it even better than they do on film). 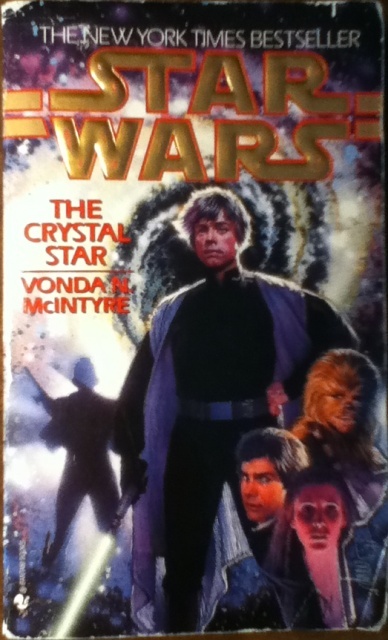 One part of the prequels, though, never quite made sense to me. This was the idea of the Jedi avoiding attachment to someone or something (mostly the former). Yes, yes, I know. The whole idea of “suppressing emotions” is supposed to be part of the Jedi way and all that jazz. But the Jedi are not Vulcans. Besides, Jedi are supposed to trust their feelings, right? And if, as I learned recently, the Dark Side of the Force is marked by the emotions of wrath, hatred, anger, lust, and practically every other bad feeling you can think of, then what kinds of emotions is the implicitly “Light” side of the Force marked by? I am an odd little person. These kinds of inconsistencies always puzzle me. So there I sat, mulling over the Jedi’s statements about avoiding attachment, about the emotions surviving Jedi are said to feel in some Star Wars fiction I have read lately, and about the emotions that fill the Dark Side, trying to figure out how it all added up. I came up with an answer a little while ago. I do not know if it is the right answer, but it seems to balance out the inconsistencies well enough that I think it could be an acceptable answer. In fact, if you were to take the “don’t get attached” statement on its face, then no Jedi should give a hoot about the death of another Jedi, about the Republic they have sworn to protect, or even about their apprentices. How well does that square with the “don’t get attached” mantra? On its face, it does not. When you dig a little deeper, though, things begin to make a little more sense. I was surprised when I learned that one of the emotions that marked the Dark Side was lust. I knew from the films that “anger, fear, aggression” and a few other things were part of the Dark Side, but lust never crossed my mind. Thinking about its inclusion under the umbrella of the Dark Side, however, everything suddenly clicked into a sensible order. We all know that, if a Jedi were to fall in love, he has to be ready to handle the other emotions that come with it – such as protective fear and other dark temptations. If he fell into any of these snares then he might fall to the Dark Side. Palpatine, after all, converted Anakin to the Dark Side through the young Jedi’s overprotective fear for Padmé Amidala. Since Anakin fell into darkness through fear, others could easily fall into darkness if they were not careful. Now we go back to what I mentioned earlier – that Jedi who survived Order 66 (the kill order for the Jedi that Emperor Palpatine implemented in Revenge of the Sith) often experience grief over the loss of their fellow Jedi, the destruction of the Jedi Order, and the Republic in general. If you were to take the “don’t get attached” dictum at face value, then a Jedi could not possibly love anyone or anything, as I said above. Yet these Jedi do feel love, for you cannot have grief if you do not have love. If you have no love, then you have no reason to grieve. Lust, fear, anger, and the other Dark Side emotions do not leave a person with grief. But love does. So did I just pop the Jedi’s “don’t get attached” argument? Sort of, but not quite. Allow me a moment to quote a great, Ancient “Jedi Master” – Plato: To love rightly is to love what is orderly and beautiful in an educated and disciplined way. What does this mean? It means that the “don’t get attached” Jedi stipulation translates as: “Love what is orderly and beautiful, but do so in an educated and disciplined way.” That is, do not let the negative emotions that come with love distract and destroy you. The whole reason Jedi were supposed to avoid marriage was not because they had to avoid love; it was so that they could keep their love disciplined and orderly and avoid the Dark Side’s fish hook lure of fear, protectiveness, and other temptations. To love in an “educated and disciplined way” is the exact opposite of the Dark Side; the Dark Side is poison, but love is power. In this light, the entire Jedi Order, not to mention the “Light” side of the Force, makes much more sense. The Dark Side is marked by everything negative, while the “Light” side is marked by self-sacrificing, disciplined, love. 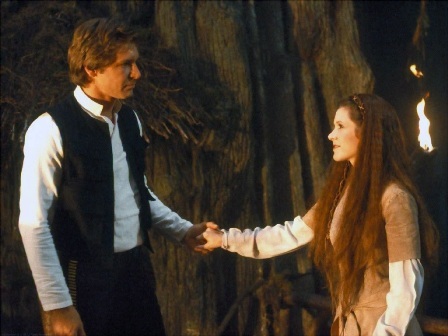 And while the Jedi may suffer, in the end, because they serve this kind of love, they will always triumph. This entry was posted in Movie Reviews, Star Wars Characters and Stories and tagged "Don't Get Attached", Anakin Skywalker, Jedi, Movie Reviews, Sith, Star Wars Characters and Stories, Star Wars trilogy, Star Wars: Attack of the Clones, Star Wars: Revenge of the Sith, Star Wars: The Phantom Menace on January 23, 2015 by The Mithril Guardian.